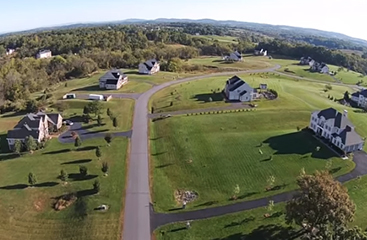 What Makes A CarrHome Different From Homes By Other House Builders? We use stairs with wide treads, making them easier to climb. The main and upper levels have tall, nine – to eleven- foot ceilings. Our elegant staircases are made of oak and feature carpet runners. We use beautiful brushed nickel light fixtures. We install double hung low-E insulated windows. We install wood shelving in all closets and pantries. All garages are drywalled and painted. The above list is just a sprinkling of the 22 differences that separate a CarrHome from a home built by another home builder. Our award-winning luxury homes have been shaping the landscape of Northern Virginia since 1925, and we’ve been providing environmentally sensitive homes since before other home builders had ever heard of “going green.” For example, all of our interior doors are made out of recycled materials, and we install high-efficiency heating and cooling systems into all of our homes. 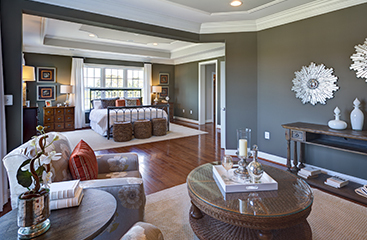 Being environmentally-friendly isn’t the only thing setting CarrHomes’ interiors apart. CarrHomes architects match both current and future buyer lifestyle needs to the interior and exterior designs of our homes. Browse through the galleries linked below to get a sense of our interior house design capabilities. Contact CarrHomes today to begin your new home journey. We want one main thing for our family of satisfied customers, and that is for it to keep growing! To get all of your questions about our homes or services answered, please give us a call or contact us using our online form.